Home / Business / GMAs Journalists’ Journalist nominees: Who is Keith Stuart? GMAs Journalists’ Journalist nominees: Who is Keith Stuart? This year’s Games Media Awards on October 15th will see the games media vote on the night for their ‘Journalists’ Journalist’, from a shortlist of six industry standouts. 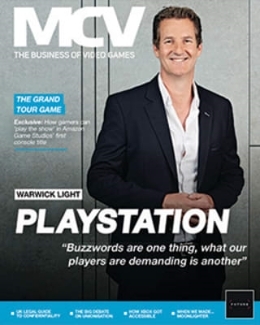 Ahead of the big night, MCV talks to nominee Keith Stuart about the growing importance of the video game medium and the evolving face of journalism – before he blows his nomination completely. For the unaware, who are you and what do you do? I am the video games editor for the Guardian, so I commission and/or write much of the games content that appears online and in the paper. I’ve been writing for the Guardian for a decade and before that I worked on a whole bunch of Future magazines including Edge and DC-UK. I have been doing this for TWENTY YEARS. Oh God. What does it mean to be nominated for the Journalists’ Journalist prize at this year’s GMAs? It is a surprise and an honour. I’m always thrilled just to be literally recognised by my peers, so to be nominated for something like this is pretty lovely of them. 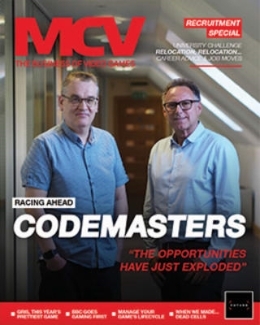 What is the importance of recognising the achievements of the games media? Well, we’re forging new ground really – film, music and theatre have all had an established critical canon for many, many years, but games journalism and criticism are just getting going. This is a particularly fraught period and there is a lot to learn, but it’s exciting – we’re writing about what I believe will be the most vital and relevant creative format of this century – so of course good work deserves to be recognised. "We’re writing about what I believe will be the most vital and relevant creative format of this century." Which parts of the industry are you most interested in covering and why? I really love independent games and small studios – I’m fascinated by offbeat, idiosyncratic design and, also, indies give interesting interviews without a PR person. There are stories we are not telling enough of – the darker side of the industry (studio closures, working hours, the lack of women and minorities) – that will come. What games are you looking forward to this Winter? Far Cry 4. I want to ride an elephant and trample on jeeps. Also, This War is Mine looks fascinating, but really grim. 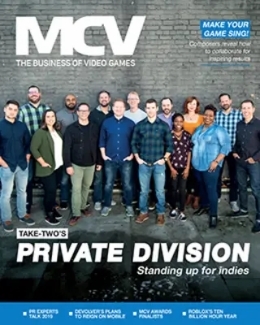 What are the biggest changes currently affecting the face of games media? The continuing rise of YouTube and Twitch, obviously – Generation Z has a totally different way of, ahem, consuming media; they don’t really want to read as much, and they prefer to hear from peers who they relate to rather than writers/critics/journalists who are aloof specialists. There is also some distrust between gamers and journalists – you may have noticed. Somehow that has to be dealt with. But really it’s about finding a way to talk about games that is relevant in the super-accelerated digital landscape. Did I really just write super accelerated digital landscape? Well, that’s blown my nomination. Previous Does Ubisoft have Rockstar on the run?